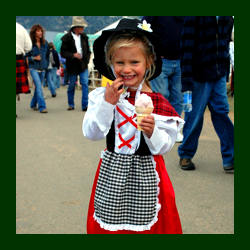 The Scottish Irish Highland Festival is an annual celebration and parade that takes place in Estes Park Colorado in September. The huge parade is a delight for all ages, and the events include jousting, drumming, pipers, feasts of American and Celtic foods, and much more. Event does have an entry fee.